Since 1864, Concordia University Chicago has been helping students to become leaders in honest, creative, competent and compassionate business via high-quality education. For Concordia MBA graduates, a Concordia MBA means the ability to perform, prevail and make a difference in the business world. At the Concordia University Chicago College of Business, MBA candidates receive an education that is hands-on, innovative and of a world-class quality. 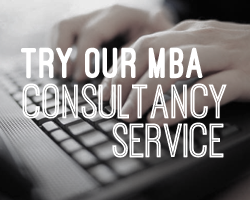 Delivered from Chicago, London or online, MBA candidates truly have the world at their fingertips with an MBA program that is as integrated and connected as the business world itself. Instructors, faculty and tutors at Concordia University Chicago are experienced and esteemed professionals and scholars of business and are at the forefront of the College of Business’ comprehensive curriculum. With a focus on being rigorous, but flexible, the Concordia MBA programs provide students with business knowledge and perspective that is rooted in real-world business scenarios and grounded in ethical integrity. As a university based on the Lutheran faith, Concordia University Chicago strives to provide academic business programs that address and promote diversity, community involvement and service. Concordia University Chicago and its alumni have partnered with organizations such as the Boys and Girls Club and Habitat for Humanity and have channeled humanitarian efforts into crisis prevention in Haiti and educational promotion in Shanghai, China. With enormous success, 90 percent of Concordia alumni are employed in their fields within six months of graduation. Since its conception, one thousand individuals have completed Concordia University Chicago MBAs and gained exclusive entry into the Concordia Alumni Association. Beyond alumni membership, Concordia MBAs are specifically designed to foster lifelong and productive relationships between students, alumni and faculty. With collaboration and networking as central themes of the programs, candidates are set up to make lifelong connections with their peers and advisers. As a benefit of Concordia University Chicago alumni status, alumni members gain access to the Concordia Career Services. With the help of career services faculty, alumni can effectively transform their MBA education into a fruitful career by seeking out industry connections, internships and job opportunities.